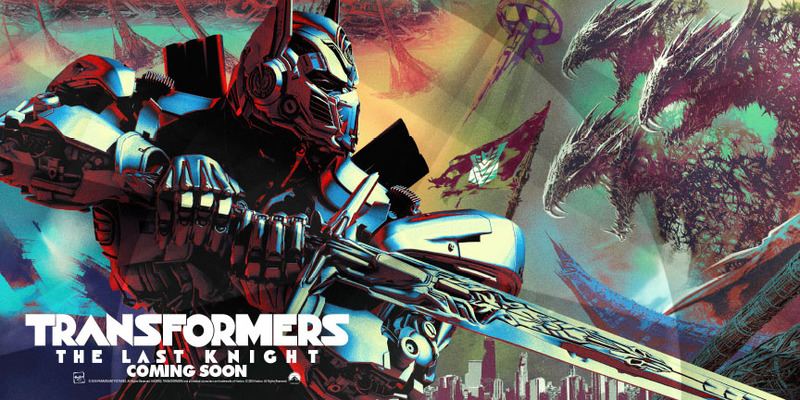 Last month, a billboard advertising Transformers: The Last Knight appeared in New York’s Times Square with absolutely no fanfare, and while the image has been seen across Reddit, Imgur, Instagram, and whatever else the kids are into these days, Paramount have released the image in shiny hi-res for your viewing pleasure. And it’s pretty damn awesome, featuring Optimus Prime facing off against an unknown, three headed enemy, as well a some hints, including a space station and what could be a tentacled planet, as to what Michael Bay has in store for us with his first go around with the Transformers franchise. Starring Mark Wahlberg, Isabela Moner, Josh DuHamel, Tyrese Gibson, Jerrod Carmichael, Laura Haddock, Santigo Cabrera, and Anthony Hopkins, Transformers: The Last Knight comes our way June 23rd 2017.